Here is an extract from Kari’s resume during 2012. Today was the preview of the film “Vi är som apelsiner” aka “We are like Oranges“. A film about racism in Sweden where Kari is the leading lady. The preview was at SF Umeå. The first premiere will be at SF Umeå on September 17th, the second one in SF Stockholm. 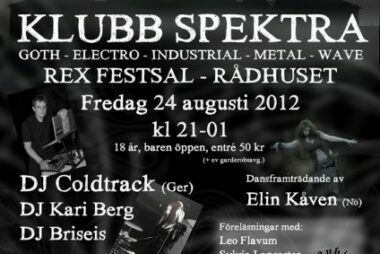 Kari will be DJing during the Club Night KLUBB SPEKTRA at Sunset Park festival on Friday August 24th. Kari got one of the female leads in the film version of “Folkoperan Remixed”, a film about racism in Sweden. The film will première in 2012 and more info will come. Kari will be DJing at Club Blank, Umeå’s own Fetishclub. Here is the link to the event on Facebook. Kari is featured in the newest number of QLTR. She is both published with a picture from a fashion show for O.N.L.Y at Umeå Fashion Week and also an article about the film “We Are Like Oranges” which she is starring in.